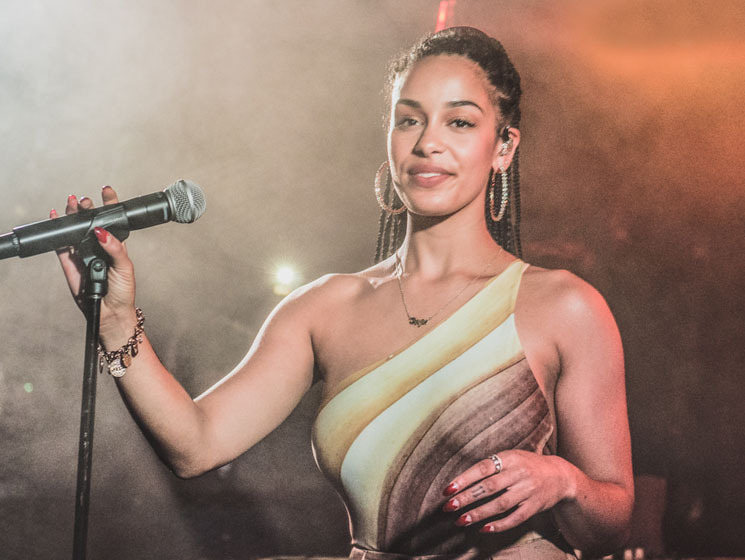 Two of the UK's finest artists took to the stage at the Biltmore Cabaret Saturday night, Ama Lou and Jorja Smith, the latter on the cusp of stardom as her debut album release approaches. It was a packed house that had sold out swiftly — indicative of how Vancouverites have caught on to Smith's talent upon hearing her collaborations with the likes of Drake and Kali Uchis. Ama Lou started off the night, performing from her debut EP, DDD. She, like Smith, possesses a truly incredible voice. There is a maturity to her sound that belies her 19 years — although she did tell the crowd her birthdate at one point in the set. Lou sang downtempo R&B with confidence and smooth lyricism, picking up her guitar to play a song she had written at age 14. Jorja entered the stage to rapturous applause — one can feel her intensity and just how deeply her beauty resonates. She didn't need to make many comments in between continuously delivering exquisite vocal runs, crystalline ballads, and impressive wordplay on songs such as upcoming album track, "Lifeboats," enrapturing the crowd. On this song, she spit verses about youth unemployment and struggles close to home in the UK — one of the best performances of the show, as it displayed her capability of addressing complicated subject matter with passion and intelligence. Her set had a wonderful balance to it, showcasing Lost & Found ahead of its June release, as well as weaving through her numerous collaborations and work on previous EPs, such as 2016's Project 11. Smith and her band excel at rhythmically expressive soul, ballads and club-minded cuts, like the electric finale — a performance of her collaboration with Preditah, "On My Mind." Her singular voice carried new ballads "Goodbyes," about a friend who had unexpectedly passed away, and "Don't Watch Me Cry" with a poignancy and delicacy that showcased her masterful songwriting. Penning songs about heartbreak, violence, austerity and love, Smith's songs feel incredibly personal in a way that is daring. It is not only Smith who carried last evening's show — her band is comprised of virtuosos who performed arrangements varying from full-band soul to piano ballads to reggae to bossanova (the latter couple genres showcased during an exemplary cover of TLC's "No Scrubs"). The professionalism and sheer ability of Smith and her band — primarily working with guitar, bass, drums and keys — ensured a performance that left audience members in awe. The only drawback of the show was just how often attendees felt the need to capture it with their phones, as well as the chattiness of the crowd — there were constant shushes during Smith's ballads and occasional loud comments regarding how often it was really necessary to post clips of the set to Snapchat. It was a privilege to experience Ama Lou and Jorja Smith's performances in an intimate club setting. Yesterday evening was a needed reminder of how developed artistry forges emotional connection between artists and their supporters. Smith's music is inventive, challenging, and a true joy to witness live. The hard work is certainly paying off.